It is too bad that the Jetex series of engines is no longer being manufactured. They were source of affordable real "jet" engines back in the 1960s and 1970s when I was a kid with only paper route money for financing my habit. If you were lucky enough to get the wire fuses to ignite the pellets, the little Jetex 50s made a great whooshing sound as they propelled your balsa model through the air. 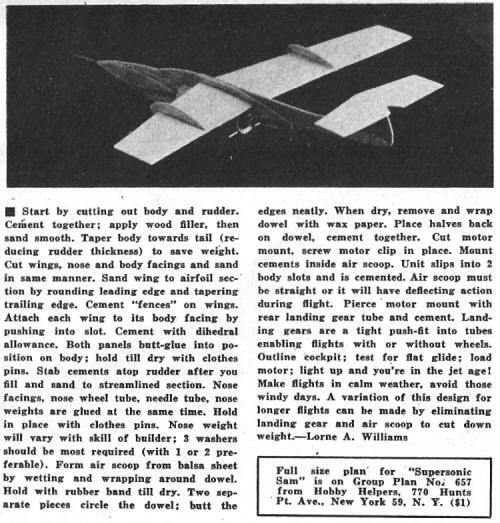 My friend, Jerry Flynn, and I mounted them to the dime store Guillows balsa stick and sheet gliders. 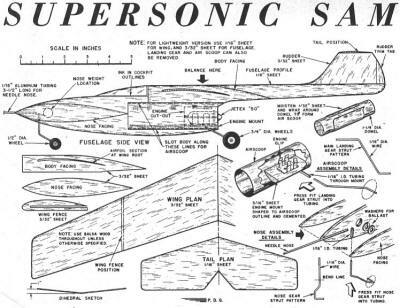 Here is a plan for a little more sophisticated model called the Supersonic Sam. 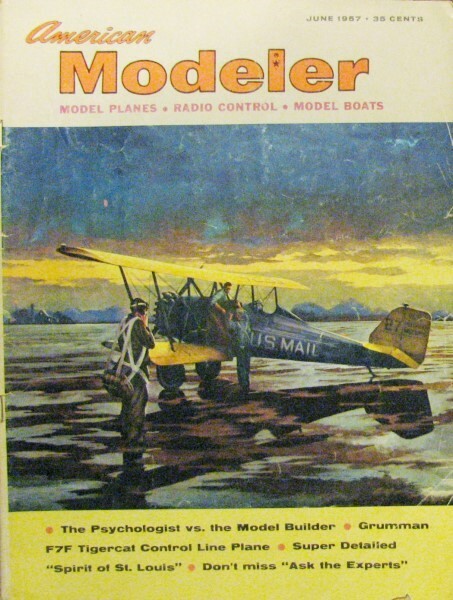 This particular page is from page 29 of the June 1957 issue of American Modeler magazine. 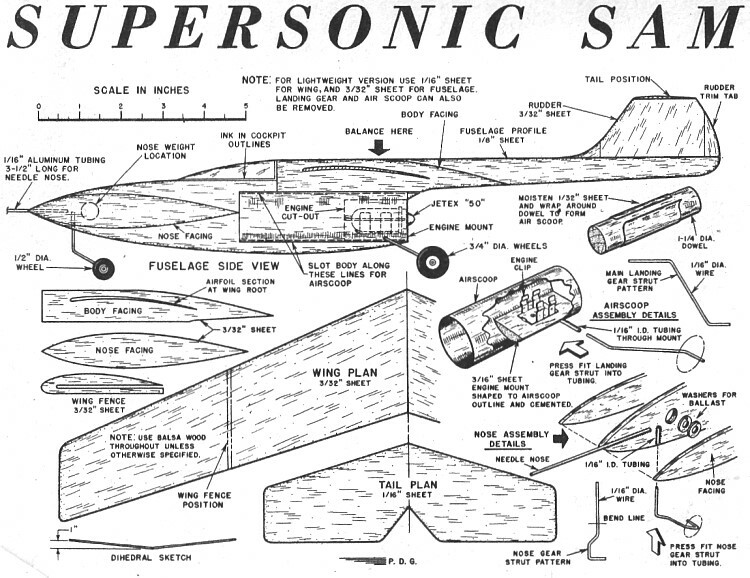 The Supersonic Sam used the Jetex 50 motor. All copyrights (if any) are hereby acknowledged.